My sons’ cyclical vomiting episodes were the wake-up call that kicked off our family’s detour from the standard American diet (SAD). Back in 2011, the simple elimination of dairy (yes, that was “simple” compared with the years of exploring food as medicine that would follow) was the answer to both my boys’ gastrointestinal troubles. It was also the remedy to a lifetime of hay fever allergies that I had come to regard as a normal part of life. After that powerful lifestyle change, I was convinced that cleaning up my diet could give me the health I had in my twenties. And, for awhile it seemed to work… until it didn’t. I’ve tried every healing diet out there to help me recover from over a dozen diagnosed mystery illnesses from chronic fatigue syndrome to CIRS and, eventually realized that all the meticulous eating in the world wasn’t going to make me feel better if I wasn’t willing to explore the other pieces of the lifestyle puzzle. At first it can seem time-consuming, but once you get into a rhythm it’s actually pretty simple to incorporate the steps throughout your day. While the flavor and texture are delicious, I realized that I’ve been using the Italian OO flour that I originally bought to make sourdough pizza crust. 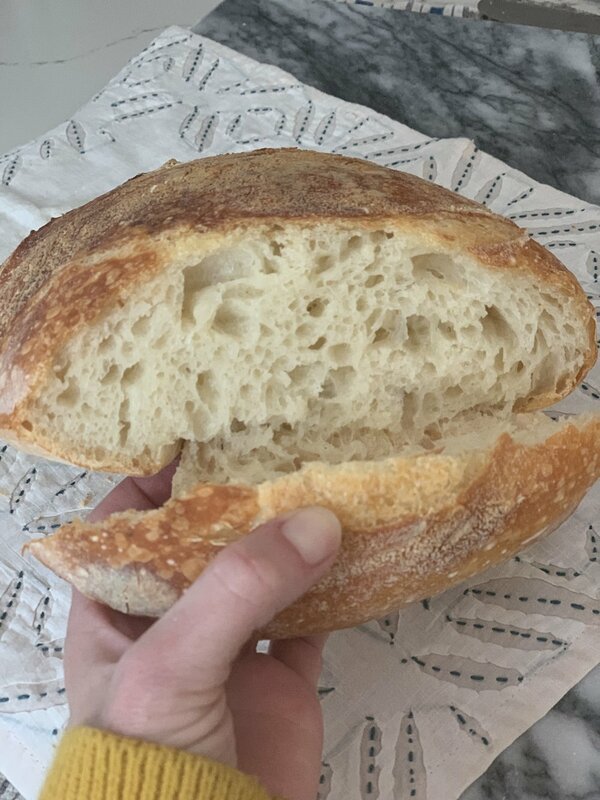 I’m anxiously awaiting my copy of the book Tartine Bread, so that I can learn how to choose the best types of flour and create a nice dark crust. "Phytase enzymes released by the yeasts as the dough acidifies effectively pre-digests the flour, which releases the micronutrients and in turn reduces bloating and digestive discomfort." I have no trouble whatsoever digesting my homemade sourdough. Using flour sourced from non-gmo seed and farming practices is also key. Anyone have experience making sourdough? Please comment below. This novice would appreciate any and all tips!